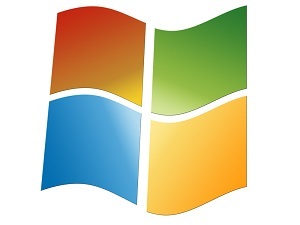 End Of Support Notifications Being Sent To Windows 7 Users | Zelena Inc. If you're still clinging to your old Windows 7 machine, you should know that the day is relentlessly drawing closer when Microsoft is going to stop supporting the OS altogether. In fact, in the near future, you're going to start seeing reminders pushed out by the company that the end is drawing near. They're calling this a "courtesy reminder" and recommending an upgrade to Windows 10. If you're dead-set on continuing to use Windows 7 past the date when official support ends, Microsoft is offering an additional three years of paid support for the platform. However, the price of that support will double with each passing year. The company has taken pains to continue supporting what is still a surprisingly popular operating system. However, given all of the above, the writing on the wall is pretty clear to see at this point. If you haven't yet begun to make plans to move away from your legacy systems that require Windows 7 to function, it's well past time to do so. When the support stops, you're going to find yourself at increasing risk. The hackers around the world are going to find flaws in Windows 7's armor and Microsoft isn't going to be around to fix them. Even worse, an increasing percentage of modern software simply won't run on those older systems, which puts you in an increasing bind on that front. You would have to buy separate systems to run the newer software you need, while maintaining a few of the older boxes to house and run the software that depends on the older OS. That complicates things, to say the least. The longer you delay, the worse those risks are going to become. Painful as it might be to consider moving away from the platform, the alternative is worlds worse. Time and technology have simply moved on. © Copyright 2014 Zelena Inc.